← What Paint Colors Go With Gray Furniture? I can’t tell you how lucky I am to have such amazing clients. This my friends, is what makes my job so wonderful. Not only do I work with color all day which is a joy in itself but the people I work with, well there’s just no words. Here’s a beautiful review I just received from my last client in Champion Forrest, Waxhaw, NC. 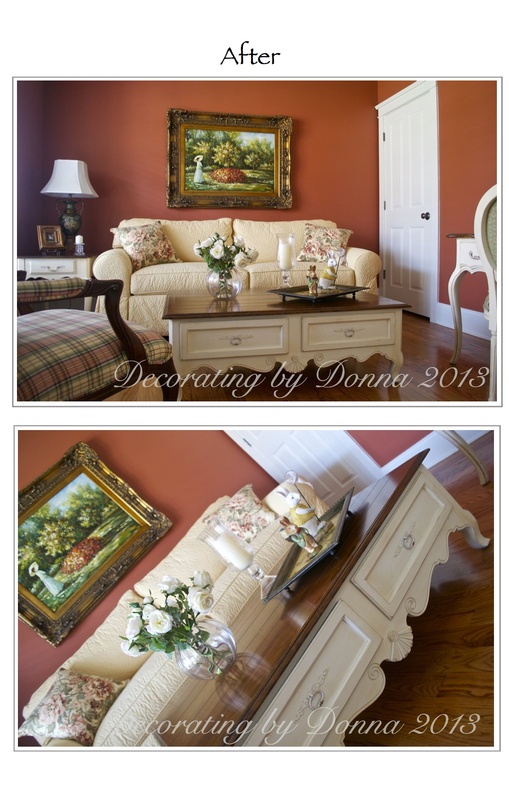 Donna is a highly gifted color specialist who turned my builder beige house – with some huge mistakes I made in selecting colors for some rooms from paint chips like cornflower blue instead of grey blue and my love of green gone wrong – into what is now our dream home. Her attention to detail and excellent eye for pulling a home together is second to none…she got creative but stayed within the boundaries of my love for french country and love of history and created a house where everything works in harmony – some rooms are eclectic Charleston meets Paris, some rooms are quiet and soft, some rooms are energetic, some let you know all boys live here but me but are still elegant and, amazingly, all the colors flow seamlessly from one room to the next. Donna is also a top-notch professional who worked with me during a frenzy of trying to get everything done before my heavy work schedule picked up again – she was a patient with my ‘I need to do this now’ calls and extremely accommodating with her schedule. Her portfolio of my before and after should-be been taped for HGTV! I will be a lifelong fan of Donna and have incredible respect for her talent and work ethic. 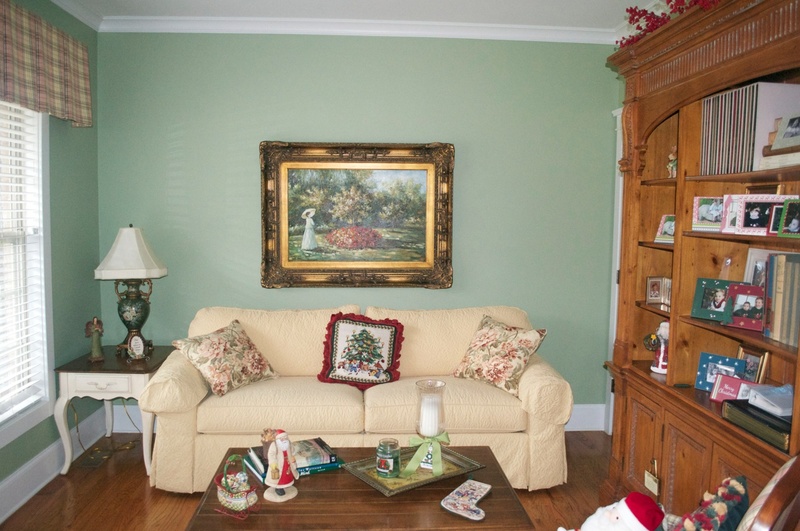 This entry was posted in 28173, Champion Forest, Charlotte, Color, Color Specialist in Charlotte, decor, Design, Home Decor, Paint Color, South Charlotte, Waxhaw and tagged after pictures, angies list, champion forest, Charlotte, color, color specialist, decor, design, donna frasca, interior design, nc, review, waxhaw. Bookmark the permalink. You nailed it! I just wish I could see the rest. That change from that off-green to that warm orange is wonderful. I love it! Thanks Laurie! I have so many more pictures to post that are just as beautiful. I knew this room would come out gorgeous Christine and I’m glad my clients trust my visions. Thank you so much! I can only imagine the thoughts in their heads and the looks on their faces when you showed them the paint chip. I am sure they thought it was to dark and ‘crayon’-like, but what a difference it makes. That bold, but earthy, orange really does remind me of my basement in the townhouse. LOVE! And suddenly, everything works together! The artwork looks SO much richer with the new wall color, and together with the sofa creates a lovely focal point for the room. Sometimes all you need to do is change one thing! Nice job :). Isn’t that awesome Kelly? The client has a ver extensive artwork collection so even though I chose a bold color for this room, it made her art really stand out. Thank you! Thanks Jean! I have another 100 photos of the home I’m putting in Slide Share. Really happy the way they came out. Thanks so much Kristie! It’s so rare I get to have some AFTER pics that I really go nuts when I do! I love the color choice you made for the walls! Thank you so much! The client was so very happy as well – it’s a color she would have never chosen herself.